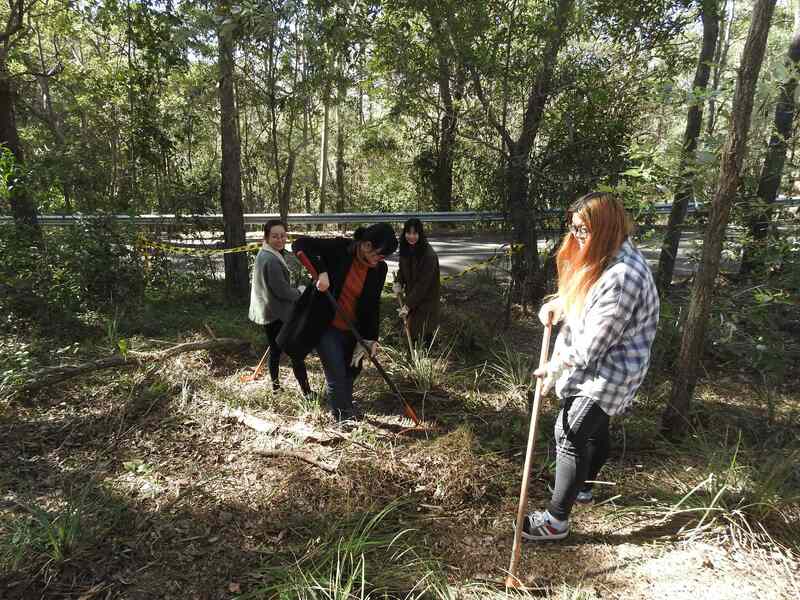 Our Griffith Mates partners were back today, again led by Sienna Harris, Griffith University Ecological Science student. 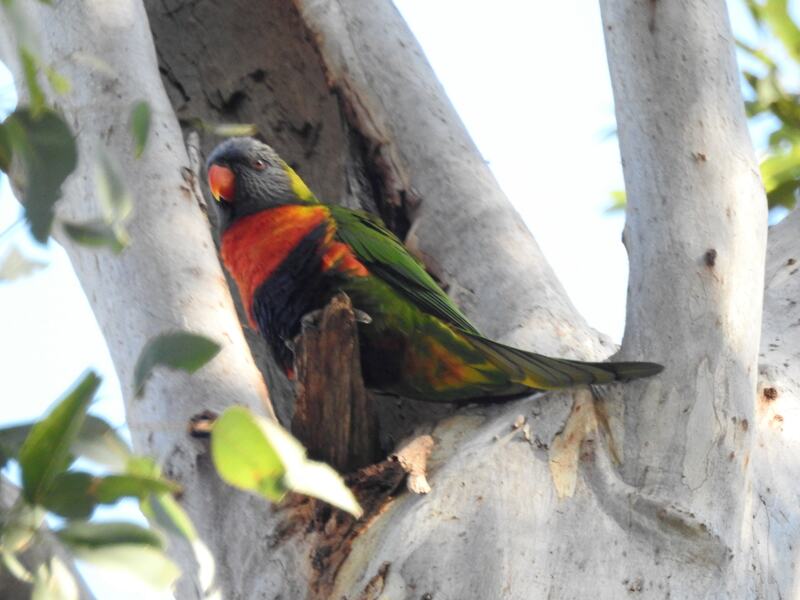 Just before the Team arrived I spotted a pair of Rainbow Lorikeets Trichoglossus haematodus checking out a tree hollow as a potential nest sight. 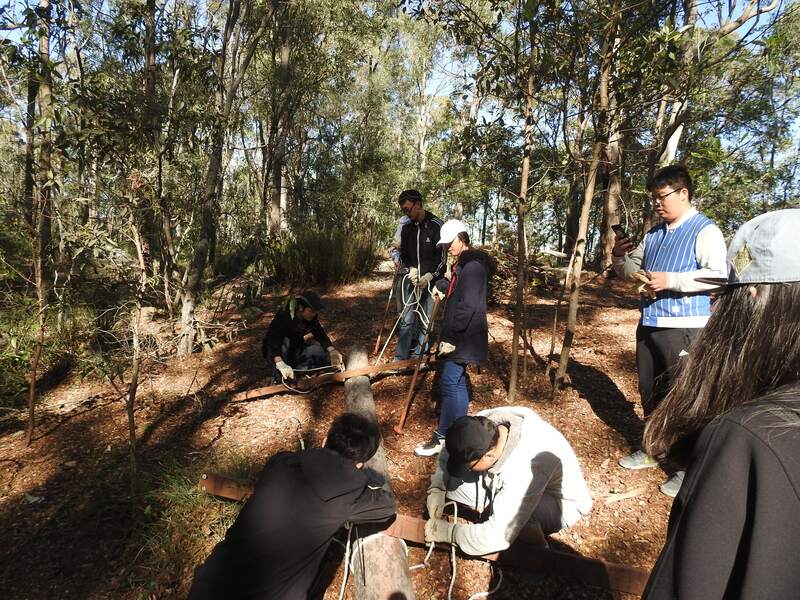 International students are always interested in our wildlife and they loved the bright coloured Rainbows. Rainbow Lorikeets are thought to mate for life (like most parrots) pairs preen and nibble each other during rest periods. I was also able to point out a Sulphur-crested Cockatoo Cacatua galerita high in the top branches of a eucalypt. It was high up but hard to miss because of its loud screech. 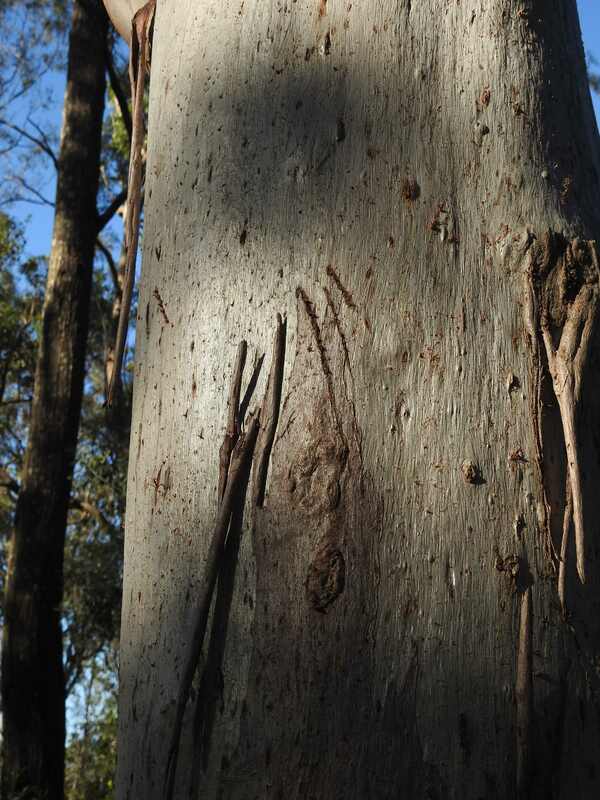 We also looked at Koala scratches on a Queensland Blue Gum Eucalyptus tereticornis. I went with the Log Team. 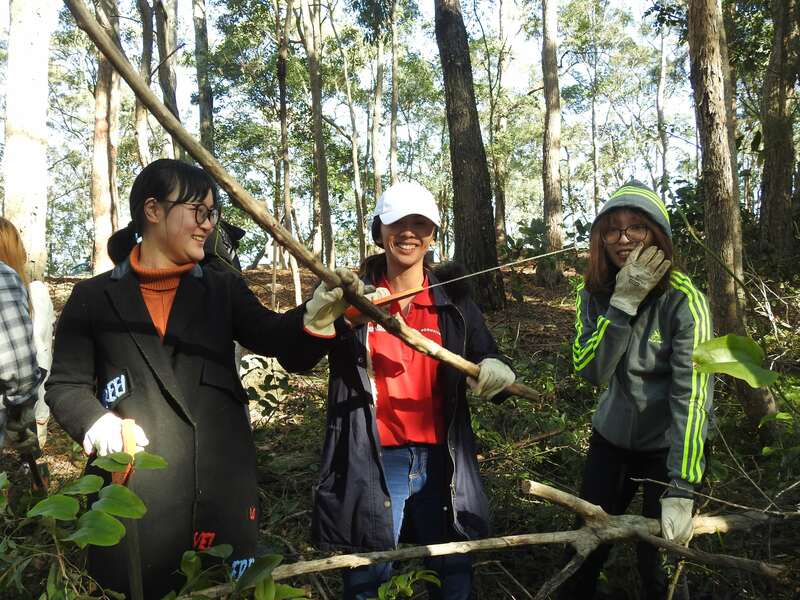 The Lantana Busters worked on clearing the invasive Creeping Lantana Lantana montevidenses by rolling it up into swales across the slope retain water and reduce erosion by slowing water flow. 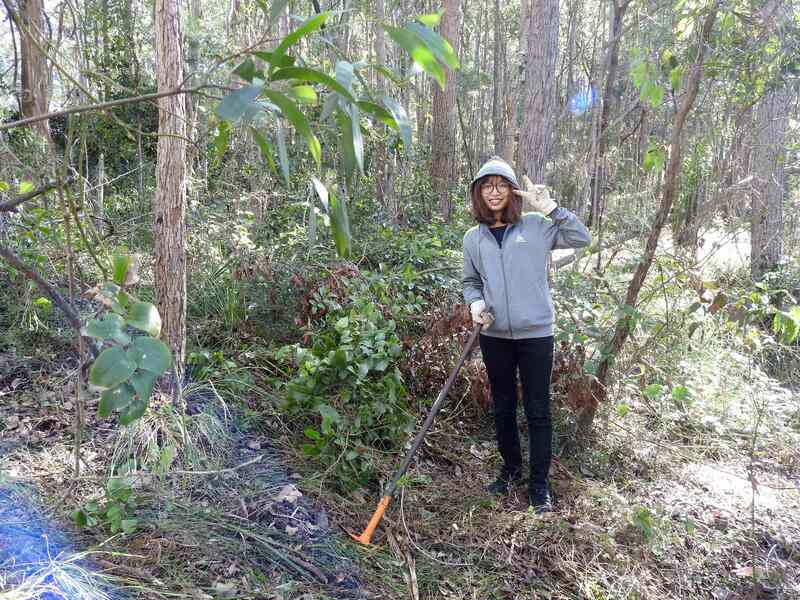 Pulling weeds may not sound exciting but there are always lots of smiles. We can use a hand saw! Look at me! I pulled this out! 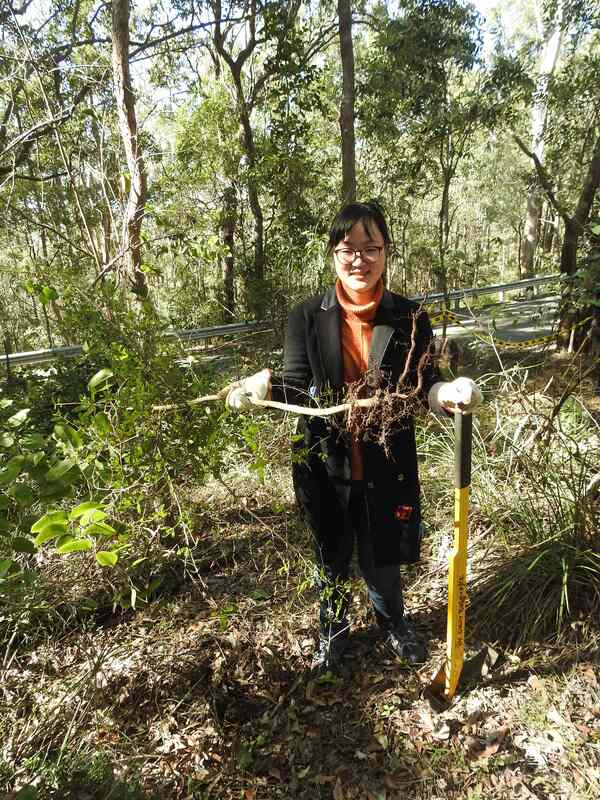 … and pulling deep rooted Mickey Mouse Plant Ochna serrulata with the specialist TreePopper bushcare weeding tool. The Treepopper allows almost anyone to pull difficult weeds by clamping jaws around the trunk then using the leverage of the long handle to slowly pull the deep roots without breaking. Even finding what she thought was a snake did not spook one of the Lantana Busters. 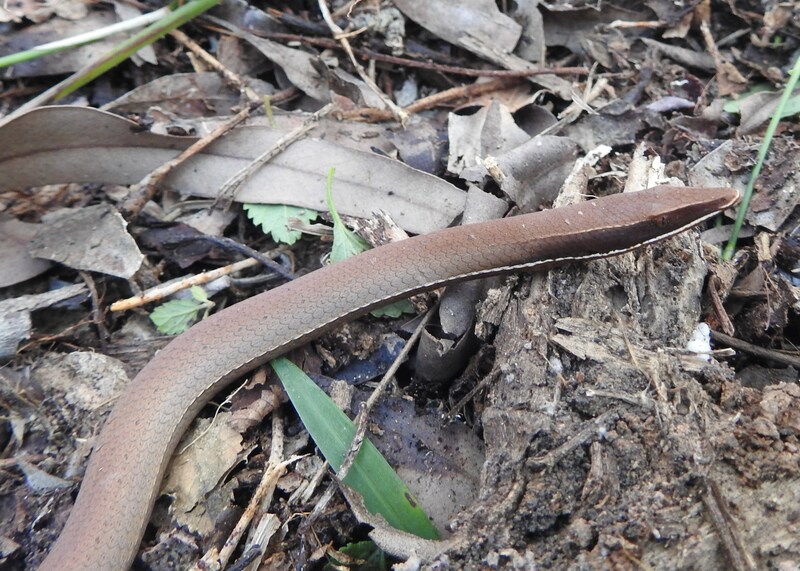 Everyone gathered around, even the log moving team, to inspect what Sienna identified as a Legless Lizard. The lizard was very cooperative and hardly moved while dozens of photos recorded our unusual wildlife. The Log Team were also learning new skills. 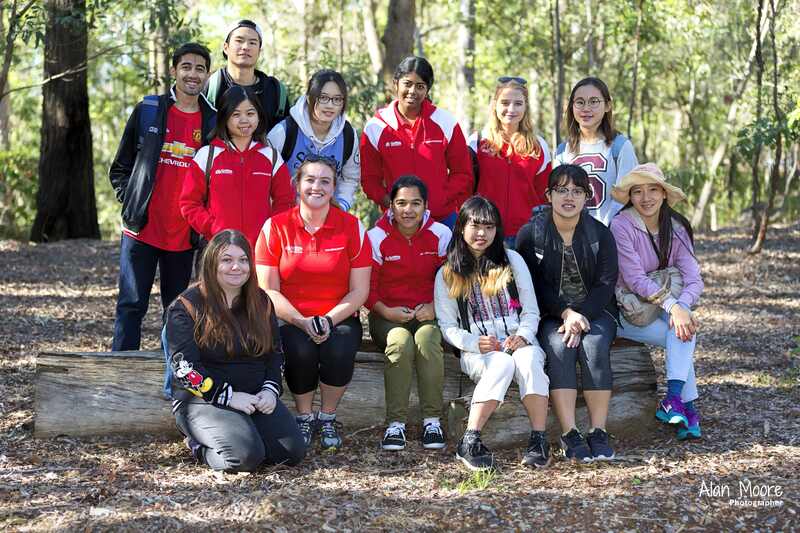 This team are all from China and studying microbiology at Griffith University. So they loved the challenge of learning the power of applying more brains and less brawn. None of the team had used ropes before. 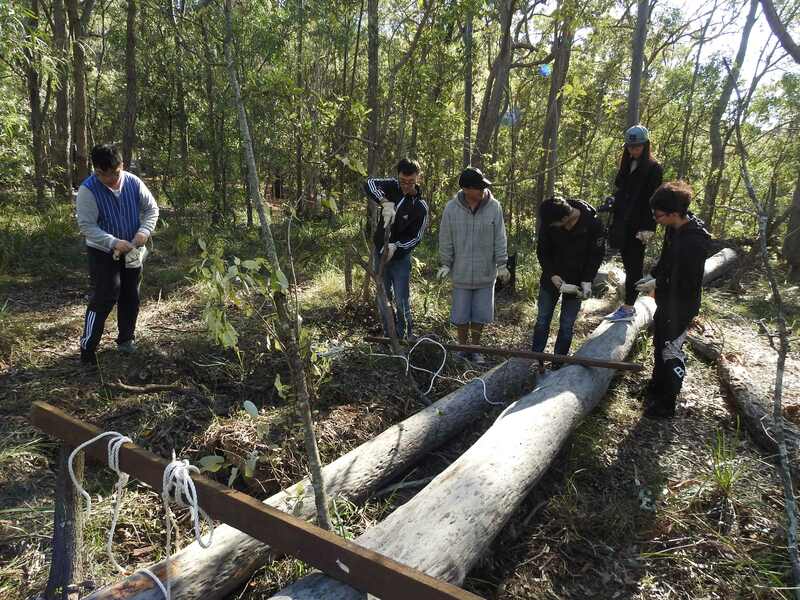 However, they caught on fast, using a branch as a lever lift the log to get the rope underneath before learning to tie a knot that would not slip. Brains win over brawn. 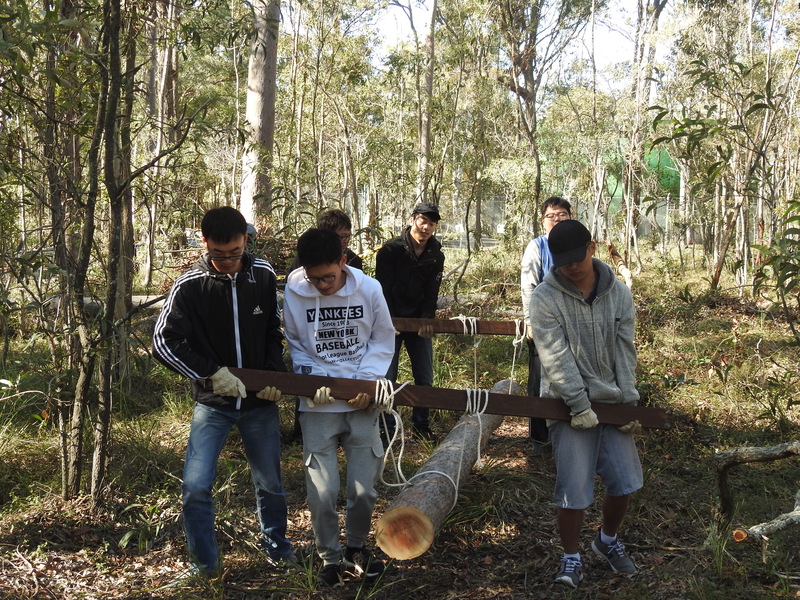 Using two hardwood cross beams a log too heavy for one person can be carried by a team of six. Still hard work and slow going but achievable. The log is in place across the slope and nestled into the mulch so it will not move. And they were very proud of themselves. 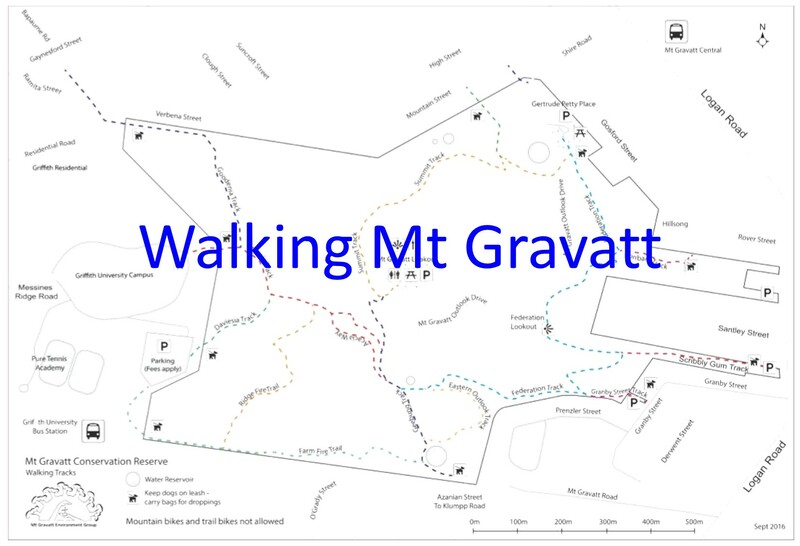 We finished up with a short guided walk inspecting the 2016, 2015 and 2014 National Tree Day planting and explaining the role of nest boxes providing shelter for Squirrel Gliders, Rainbow Lorikeets and Kookaburras.